Admission to MSc Program is offered on the basis of entrance test and interview. The Institute will invite a limited number of candidates for a written test and interview based on the academic records and aptitude for cognitive science. The final selection will be based on all of above, viz., academic records, aptitude for cognitive science, written test and interview. The Institute may also exercise the option of offering admission to a few outstanding candidates based on academic records without calling them for written test and/or interview. Test and interview will be held at IIT Gandhinagar. However, if there is any change in the venue, the shortlisted candidate will be intimated. The candidates appearing for the Test/Interview will be reimbursed any amount exceeding Rs.750/- for to and fro single second-sleeper class railway fare by the shortest route from their place of residence to the Institute /venue of the Test / Interview. For example, in case of total railway fare of Rs.1000/- the candidate will be reimbursed Rs.250/-. It is required to produce evidence (railway ticket) in support of the claim. Institute encourages MSc students to present their research work at national and international conferences, and provides travel scholarships of up to Rs. 60000/- to such students. 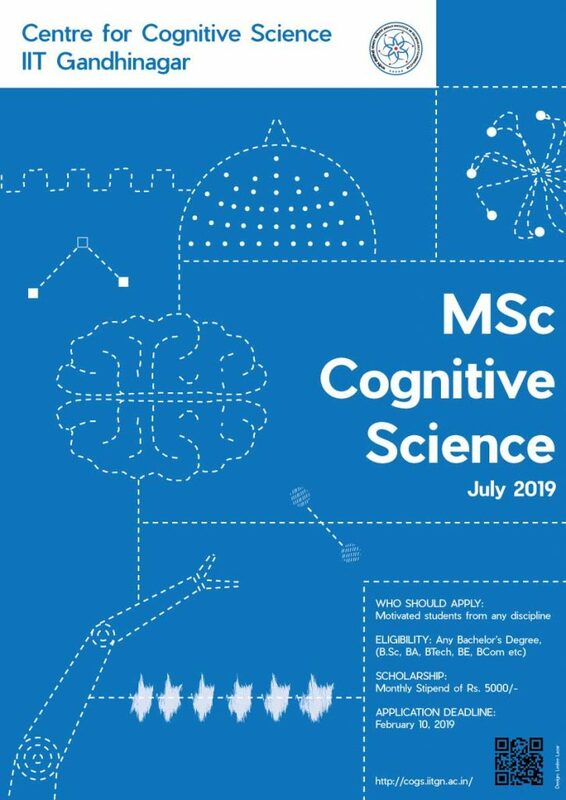 All students admitted to MSc Cognitive Science is eligible for hostel accommodation on a sharing basis.